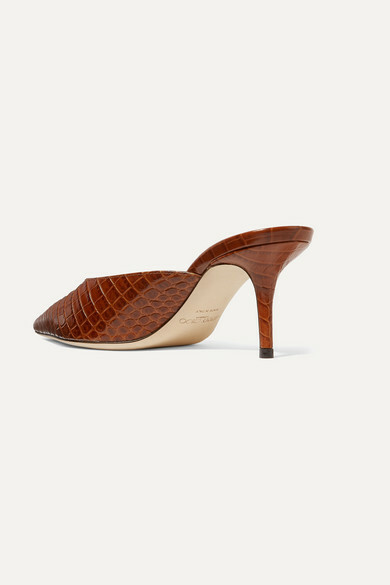 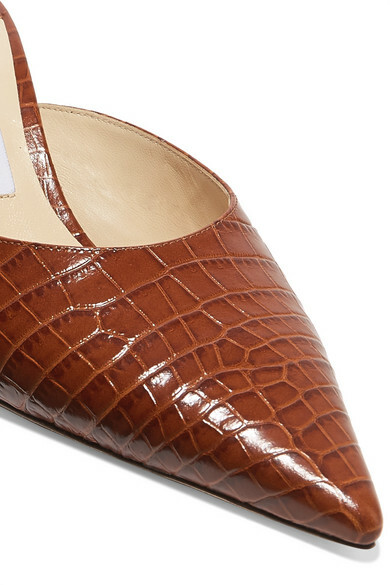 Jimmy Choo's 'Rav' mules are made from tan croc-effect leather - essentially Spring '19's favorite combo when it comes to bags and shoes. 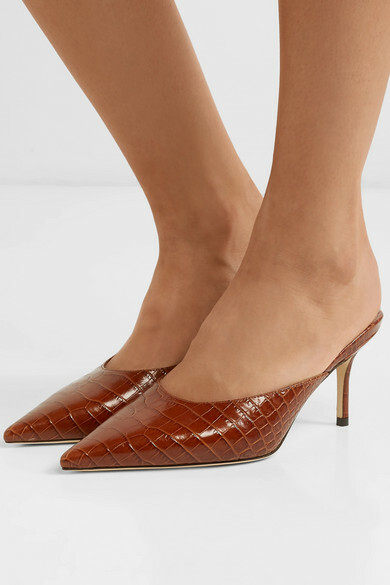 They have a pointy toes, and a backless silhouette that calls for a pretty anklet. 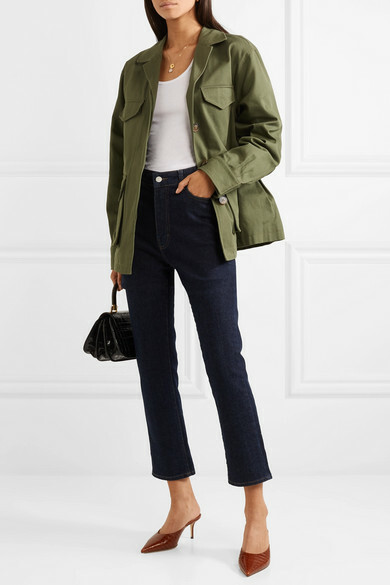 Shown here with: Totême Jacket, CASASOLA Jeans, The Line By K Tank, Mulberry Shoulder bag, 1064 Studio Ring, Paola Vilas Ring, Sophie Buhai Earrings, Alighieri Necklace.